over the course of the past ten years I went through one Dornblüth, two JLCs, three Omegas and four Rolex. I kept some, traded some and sold some and ended up with five stainless steel watches. 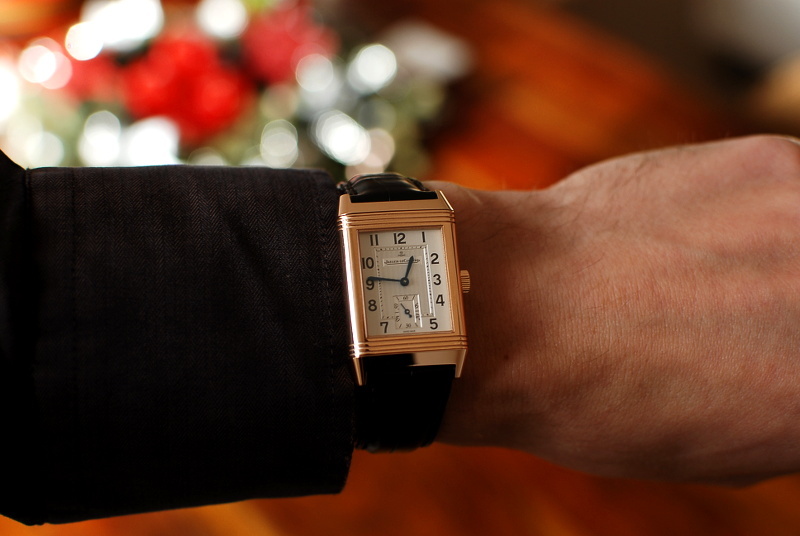 Well, in an attempt to put more quality and less quantity to my collection, I sold three of those steel watches and bought one gold watch: a Reverso Grand Taille in rose gold. Previous Topic: JLC Tools included with Deep Sea? 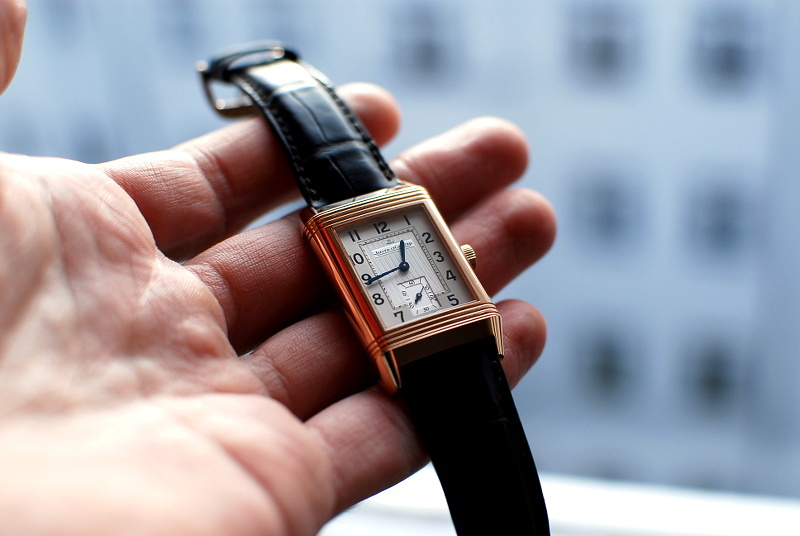 Next Topic: From BBC's Sherlock- Is this a Reverso?